Do you have fines or overdue books? Fines - We will waive any fine, dollar for dollar. For example, if you pay $10, we will waive $10 in fines. CSU owned billed books - Bring the book back and we will waive half of the billing fee if the other half is paid. CSU owned billed books - If you have lost the book, we will accept $45 as payment for the book. 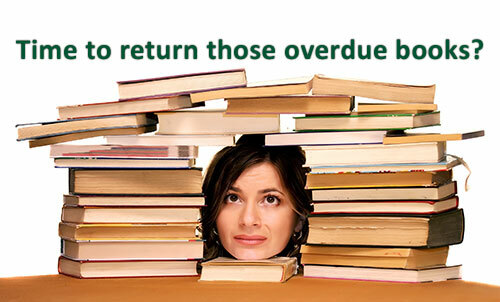 We cannot accept payment for billed OhioLINK books in lieu of returning them as they are not our books. We encourage you to take advantage of this one-time offer as any fines/billed books that are not taken care of within two years may be referred to the Attorney General of Ohio's office. If you have any questions please contact Zachary Lynn at (216)687-2480 or z.lynn@csuohio.edu. Posted 2014-12-01 13:24:54 by Lauren_Felder.